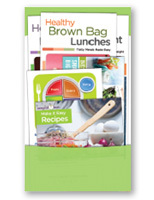 Easy-to-follow guides that take smart eating to the next level & present sensible, achievable weight-control tips. Effective stress management training made easy ... because stress can drain each & every employee until it affects their health, productivity, morale & even their safety. 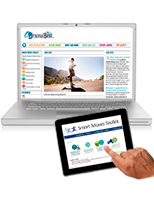 Motivation to get your employees onboard toward a physically active lifestyle. Raising awareness & offering practical approaches for top health concerns of men & women. A low-key way to deal with substance abuse & smoking in the workplace. Non-intimidating health education designed to promote healthy habits, raise awareness & prevent chronic conditions. A collection of topics aimed to keep people feeling their best.